Print media: Print media are the oldest means of mass communication. Daily newspapers, periodicals, magazines, books, posters, leaflets, billboard etc. are the examples of printed mass media. Through these media, national and international news on business, politics, sports, entertainments, literary and cultural works, advertisements etc. are transmitted to the readers. Message of print media are tangible. They are costly and are not suitable for illiterate people. Audio media: Radio, mike, record player etc are the prominent audio media of mass communication. Only listening is possible though these media. News, song, recitation of poem, short drama, advertisement, story etc. is broadcasted through these media. Among these audio media, radio has the largest coverage. Radio is very popular to illiterate and low-income people. Audio-visual media: Audio-visual media are those that make visual presentation of an object. Though these media, the audiences can listen and view the images. Television, cine-complex, VCD, DVD etc. are the popular audio-visual media of mass communication. Through these media, news, drama, film, advertisement etc. 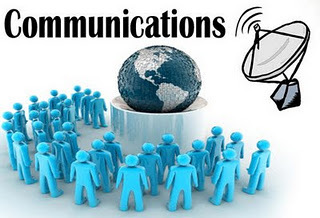 can easily be transmitted to a large number of audiences at a time in home and abroad. As the price is decreasing, audio-visual media is gaining more and more popularity. Printed and visual media: Billboards, comic books, posters, cinema slides and neon-sings etc are also used as the printed and visual media of mass communication. Traditional media: There are also some traditional mass media such as narrative song, folk song, folk dance, Jatra, theater, drama, open-air opera etc. Though these are entertaining in nature, they also provide some practical lesson on various social issues. In this modern age, these media are still employed to increase public awareness on various issues like cultural heritage, vaccination, sanitation, trafficking etc. In light of the above discussion, it is clear that there are plenty of mass media. Although technological advancement brings more and more new media, the conventional media of mass communication still has great appeal. In fact, no single medium can work best. Successful mass communication requires using a combination of mass media. It is a very informative article.I like your article very much. I want to share my website details with you. Please give me some information to increase performance like as your website.